Sugar Bea's Blog: Cowgirl Up! I finally got a new USB cord for my camera today! I was so happy to see it :) Here are some cowgirl cookies I did for a three year old birthday. I sent them to Arizona, thankfully they made it through the heat.. but unfortunately a few broke (the butterflies). 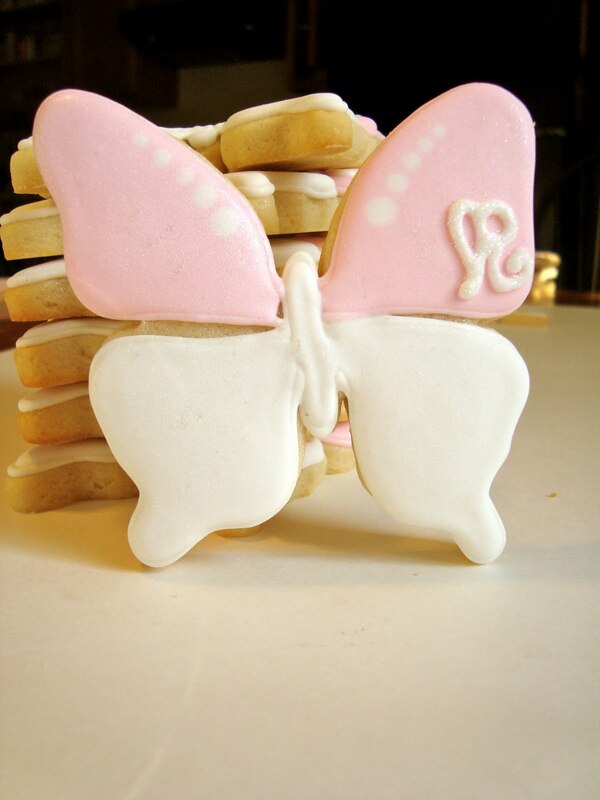 These were a challenge to do when I realized I didn't have a horse cookie cutter and that is what she wanted. But, it worked out! And these horses didn't break. Stay tuned for a tutorial some time this week!